If you're about to purchase your first home -- or it's been awhile since your last purchase -- this is a good place to start. The FinancialRx Home Buying 101 Tutorial can help you avoid some common home buying mistakes so you can make a smarter, more informed home purchase. “Bank owned home sales” seems to be a topic that keeps cropping up all over the news lately. But what does that term actually mean and how does it impact you if you’re interested in buying real estate? A bank owned home sale is very unfortunate for the existing (soon to be “former”) homeowner, and it occurs when the bank has foreclosed upon the property and taken ownership of the home. These situations are commonly called “foreclosures” or “Real Estate Owned” sales (REOs). The bank owned homes will be processed through the bank’s system, and an agreement will be made to sell it with a local real estate sales professional. That professional will list the home for sale on the local area Multiple Listing Service (MLS), so that any real estate agent may bring an offer on behalf of their client to purchase the property. Now the property joins the MLS pool with all the traditional listings that have for sale signs in the front yard. There is nothing wrong with buying a bank owned home. Sure, the home may be in bad shape or damaged by the prior owner, but it could also be in fine shape or only need a little bit of work. So as an individual interested in buying real estate, you should do your due diligence on these, just as you would with any other property, with perhaps just a little extra caution. There’s always the possibility that the financial distress that led to the foreclosure also led to some neglect of the property. Now, in California and many other states, there is a big difference when you buy foreclosure homes. With a traditional sale, even if they are selling it as-is, they still need to disclose any known defects with the property – like a slab crack or unpermitted additions. Bank owned homes, since the bank has never occupied it, do not come with the disclosure – commonly called at Transfer Disclosure Statement (TDS) – because the bank doesn’t really have knowledge of any issues. So you are truly taking the house AS IS. And while there may be issues with the property, a little caution up front can help reduce your risk. First, of course, have a home inspector look at the property and prepare a report on his or her findings. Next, check with the county for any code violations or known defects. And if it is in a Common Interest Development (HOA), you can also check with them for any issues. And as with any property, once you have it under contract, you should also check the title report for issues, a Natural Hazard Disclosure Report (NHD) for flood plains, earthquake zones, chemical contamination, etc. You can also check and with the insurance company for past insurance claims. There are several other checks and reports you can get – talk to your real estate professional about these, and work with them to determine what you need. The biggest risk you face is the condition of the property. So if it needs work, just make sure you get some bids from contractors, don’t take your own guess or a non-professional’s advice on what the repairs will cost. Individuals typically under estimate the costs and time frame associated with renovating property by a lot! So be meticulous and take the time to really figure out the details up front. Then add a generous contingency, like 50%+ to your estimates. Buying foreclosures can be just a good as traditional home sales, just make sure you understand the true condition of the property, and do the proper due diligence up front. Now go help the economy by purchasing your dream bank owned home! Author Leonard P. Baron, MBA, CPA, is a real estate lecturer at San Diego State University, a long term residential real estate investor and author of Real Estate Ownership, Investment and Due Diligence 101 - A Smarter Way to Buy Real Estate. 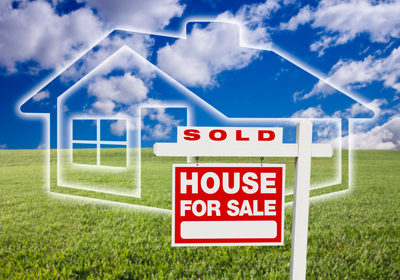 Thinking about your next house, but not sure whether to buy or to rent? At last, here are 3 simple rules of thumb to clarify your decision! Interest rates may be on their way up in the near future, but they are still at historically low rates—is now the time to refinance? San Diego State Professor Leonard Baron, MBA, CPA provides a framework to help you decide. Ready to buy a house? San Diego State Professor Leonard Baron breaks the process down for you into 3 guidelines and 7 steps, right here. My friend and all around smartypants, Real Estate Investment Guru Leonard Baron, MBA, CPA, writes our “Buying a House Checklist.” Come check it out! How Much House Can I Afford, Based on My Income? You’re ready to shop for a house, but how much can you really afford? Here we share a basic rule of thumb, and a calculator to find a “stretch target.” What’s yours? Avoid this rookie mistake that lots of first-time home buyers make. Why? It could cost you your loan, which in turn could cost you your home. Buying a home is a big decision. You can do a lot to make it a smart one—start by reading the FinancialRx Buying a Home Tutorial and we’ll help you avoid some rookie mistakes.